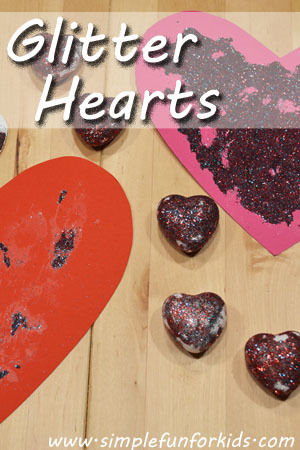 Make a simple heart shape from a cardboard roll and stamp some fun decorations! 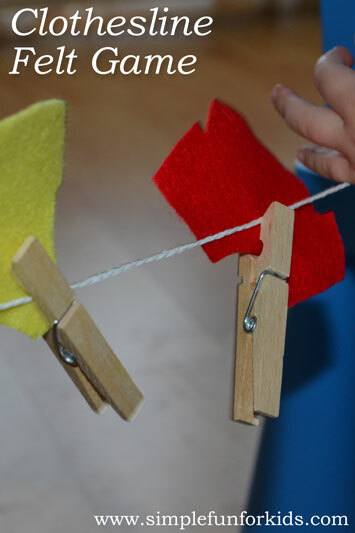 Create a Clothesline Felt Game for your toddler or preschooler! 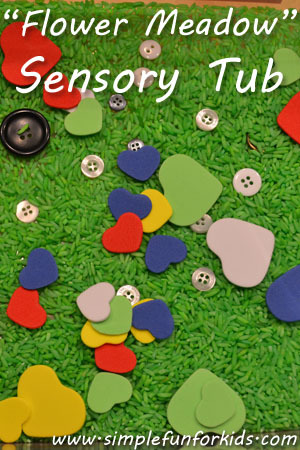 Bring a touch of spring into your house, even if it’s the middle of winter: Create a Flower Meadow Sensory Tub! 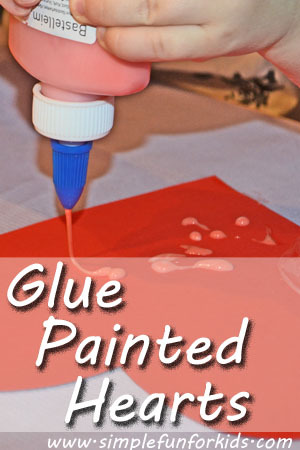 Make glue painted hearts with your toddler, either to keep and display, or to give to loved ones! 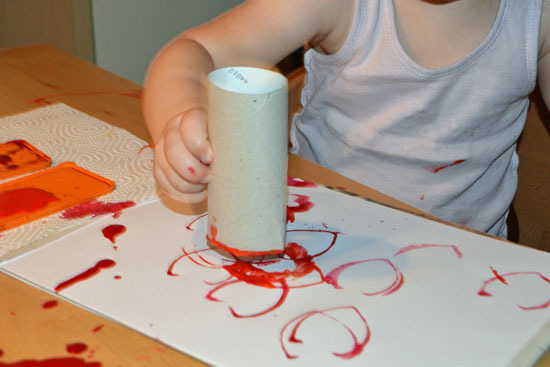 A Valentine’s craft that my toddler came up with! 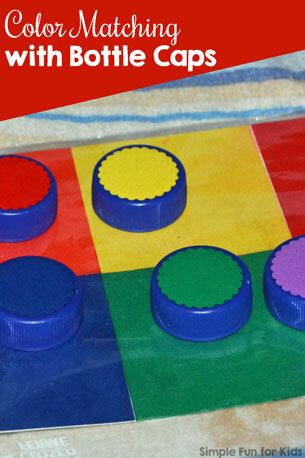 Make a simple DIY color matching game with bottle caps for your toddler. 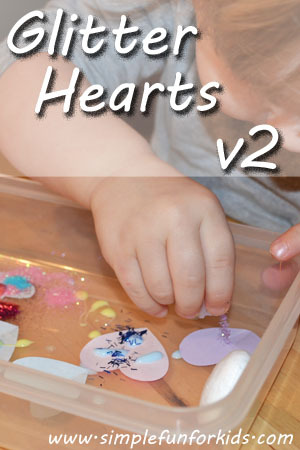 We glitterized a few hearts with a really simple technique that contained most of the glitter! 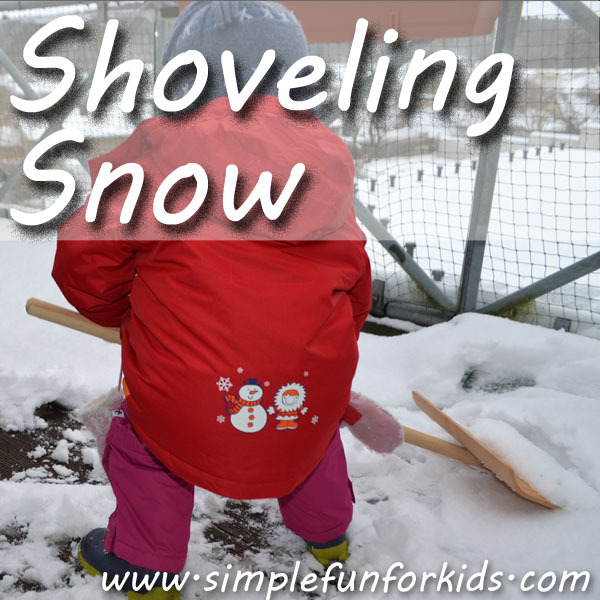 Such a simple and fun way to play in the snow! 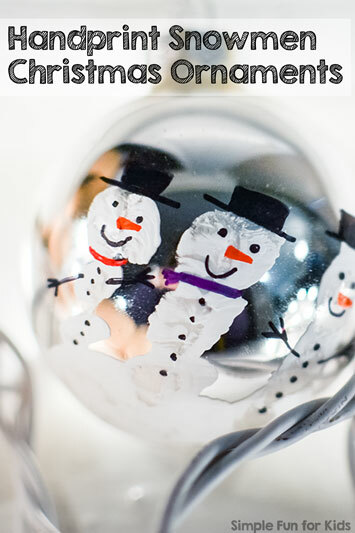 Handprint Snowmen Christmas Ornaments: A super cute quick Christmas craft for kids! 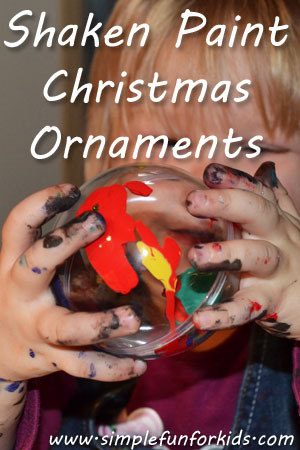 Simple but very pretty kid-made shaken paint Christmas ornaments!